If you've cooked from Anupy Singla's "The Indian Slow-Cooker" or "Vegan Indian Cooking" you have fallen in love with her recipes. Now join us in celebrating her newest release "Indian for Everyone". 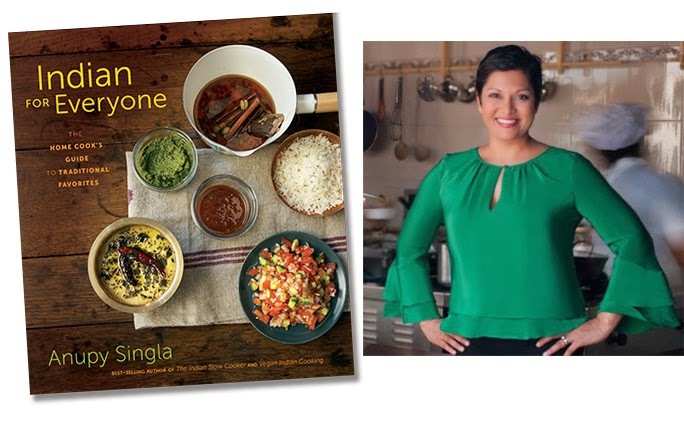 Our evening with Anupy will start with a reception followed by a talk and demonstration by the author that ambles along and through the fascinating intersections of cooking, publishing and her experiences growing up as an Indian-American. And of course we'll be tasting great Indian food and drink along the way - straight from her book, of course!. Each attendee also receives a signed copy of Indian for Everyone. Space is limited. Register Early.